Do Pagans Believe in Reincarnation? 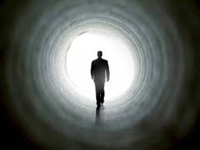 There are many beliefs about what happens after death, one such belief being reincarnation. Many people all over the world hold this belief in various forms. It is not necessary to accept reincarnation, or any other form of afterlife for that matter, as a Universal truth to consider yourself a Pagan. However, by keeping an open mind about such topics and understanding the different beliefs about reincarnation, it is easier to be in a constructive position for increasing the belief in life after death. Does the soul exist? Where is it located? What happens to it after we die? The answers to these questions are found through faith – the individual search for meaning. For those fortunate enough to possess at least some degree of faith, there is usually an inherent sense of the soul’s presence regardless of how well it is defined by the individual. The soul is not the same or equal to the brain nor the body. It holds the power of recall, but in terms of affection and sensation rather than physical memories. The soul truly is what you believe it to be. Reincarnation is the belief that the soul does survive after the body has passed on. Furthermore, it embraces the concept that the soul passes into another corporal being for the purpose of learning from the mistakes of past lives and progressing morally and with integrity in each life. The ultimate goal is for the soul to fundamentally perfect itself, which halts the cycle of rebirth and permits the soul permanent entry to the divine’s domain. While the belief in reincarnation is key in other religions, such as Hinduism and Buddhism, certain aspects under the canopy term must be distinguished. Many people consider reincarnation to be a sort of transmigration. Wicca does not deem this notion as incorrect, as there is power in all beliefs. However, it is important to differentiate transmigration from the Wiccan concept of reincarnation, as the latter emphasizes rebirth as a significant learning process. Transmigration, rather, holds that it is not the soul that has the power to improve itself, but the status of the body which it inherits. Thank Cernunnos that this epoch has passed, but India did have a Caste system throughout modern history. Basically, this system divided societal members into four different levels based off of their birthright and status, and then related this to transmigration. Transmigration encompasses the following example. If a spider’s soul regressed during its lifetime, then it might be reborn as a ‘lesser’ species such as an ant. If the spider’s soul progressed, it might be reborn as a cat – just as an example. Thus, as humans in the Castes are concerned, if an individual in the lowest Caste’s soul progressed, it would be reborn a Caste higher – then a higher Caste the next lifetime – then the highest class, considered to be closest to the divine. It was only through first being born in this Caste (called Brahmins), that the soul could then end the cycle of rebirth. While there is value to be found in transmigration, it accentuates the idea that a given soul might not reach perfection for a certain number of lifetimes regardless of the progress that it makes. Wicca holds that the significance in reincarnation lies in the learning process of the soul – the endeavor to better itself. The prominent solitary Raymond Buckland has furthered the Wiccan form of reincarnation to state that the soul is reborn into the same body each and every time. Thus, there is the ever present equality of opportunity amongst all souls. The idea of reincarnation is a starting point – for you to finish. 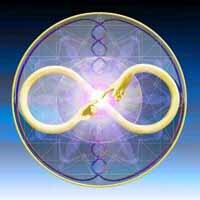 HOW LONG DOES IT TAKE BEFORE YOU ARE REINCARNATION? I thoroughly enjoyed reading this. Since as young as I can remember I believed that there had to be more, that one life time would be pointless and an impossible time scale in which to progress to any significant level of enlightenment. I concluded with no outside influence that reincarnation had to be the truth in order that the soul can attain the knowledge and wisdom that we were created to strive for. I am 40 now and am still considering the concept of transmigration. Thank you for your informative post. Would love to be on your mailing list! I personally believe in Reincarnation! I wish i would be able to come back because i need to watch some people. i want to see what i would come back as. When we see a old person struggling what do we often say ,"look at that poor soal " the soal is not a separate entity, it's the person as a whole.